Romantic and opulent, Camping le Moulin de la Pique is a luxury camping site in a fairy tale setting. At the same time, you are treated to modern facilities that allow you to make the most of your camping holiday. This historic estate is a beautiful spot to relax in a mobile home. 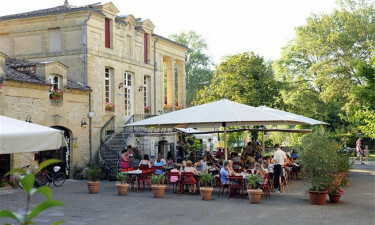 Situated in La Pique, this luxury camping destination within the Pays de Belvès region of south-western France offers a unique holiday. Set among beautiful magnolias, the five-star holiday camping site sits next to a stunning period building. If you are looking for an unforgettable experience, book your stay at Camping le Moulin de la Pique with LuxCamp. Why Choose Camping le Moulin de la Pique? 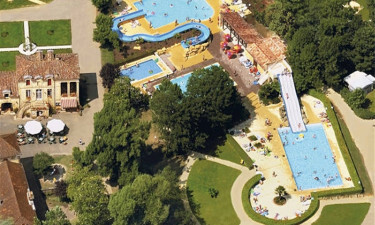 From an open air fitness area to a fabulous aquatic park, Camping le Moulin de la Pique has spectacular facilities and friendly services. 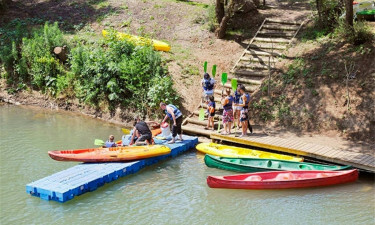 A dedicated team organises activities for campers of all ages throughout the summer. Along with a nearby lake, you are also close to 9- and 18-hole golf courses and horseback riding trails for outdoor fun. This family-friendly luxury camping site has a stunning water park. In addition to four swimming pools, there are thrilling water slides. A beautiful lake also offers plenty of recreational opportunities, including swimming and boating. This luxury camping destination has everything you need for a comfortable stay. There is a sports field, a mini golf course, volleyball field, tennis court, and table tennis facilities. There is a welcoming restaurant and a heated terrace, as well as a snack bar. Other amenities include a shop with essentials and a launderette. Wi-Fi, a playground and a library are also available.